Our mission is to provide each patient with the same level of care and compassion as we would our own pets. We love what we do and are honored each time a client entrusts us with caring for their furry friends. 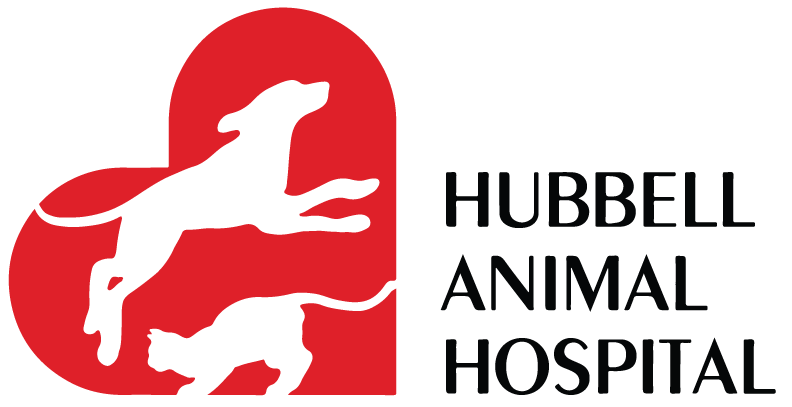 The Hubbell Animal Hospital doctors and staff are committed to following the highest standard of care in all the services we offer including wellness care, immunizations, parasite prevention and control, dentistry, surgery, internal medicine, dermatology, imaging, and behavior/nutritional counseling. Fulfilling that commitment begins with our experienced, caring, and knowledgable medical team. Our doctors, technicians, and other support staff regularly attend continuing education meetings giving them the opportunity to stay current on the most recent developments in veterinary medicine such as new medications, behavior modification techniques, anesthetic protocols, and pain management strategies. Implementing that knowledge requires having accurate information in a timely manner. Access to in-house blood analyzers, radiography(x-ray), dental radiography, cardiology/radiology specialist internet consultations, and other equipment allows our doctors to provide answers quickly to concerned pet owners. As proof of the efforts we make to meet, or exceed, a high standard of care, we have proudly been accredited by the American Animal Hospital Association (AAHA) for over 25 years. A designation that requires a hospital’s procedures, facilities, diagnostic equipment, protocols, and staff to be evaluated against roughly 900 rigourous standards and has been accomplished by less than 20% of veterinary hospitals nationwide. To find out more about what our AAHA accreditation means for you and your pet click here. You are welcome to browse our website to learn more about our animal clinic and the veterinary services we provide for companion animals in Des Moines and the surrounding areas. Read information in our Pet Library, view videos, take a virtual tour of our veterinary hospital, read testimonials, and find details about upcoming events. Please call our office today at (515)265-4239 for all your pet health care needs or click here to contact us or to set up an appointment.